I was given some flowers yesterday by a wonderful family of painters. They obviously spent ages choosing them (they mix their own paint colours for their interior work) and Narcissus Flowers (a flower shop on Edinburgh’s Broughton Street) tied them into a stunning bunch but the individual flowers are so perfect that I have spent the morning carefully pulling out single stems to look at in isolation. The colours, some sharp, some smudged are mouth watering but I’ve also been transfixed by their shapes. I hope you enjoy the images below. Design shows are important events in the calendar and the big ones are very often held in London. When attending these shows I am often asked how designers keep current and in touch while living and working four hundred miles north of The Big Smoke. We have a collection of secret weapons up here in Scotland. Weapons that fuse together and do the majority of the work for us; our landscape, our light and our space. Without exception, every single design I have produced has stemmed from a walk outdoors. Not necessarily a traverse across rugged moor or a walk on one of our many wild beaches, even the most mundane of walks will produce results. It’s simply a case of looking rather than just seeing. I hunt for shapes, gather what I see and turn them into designs. 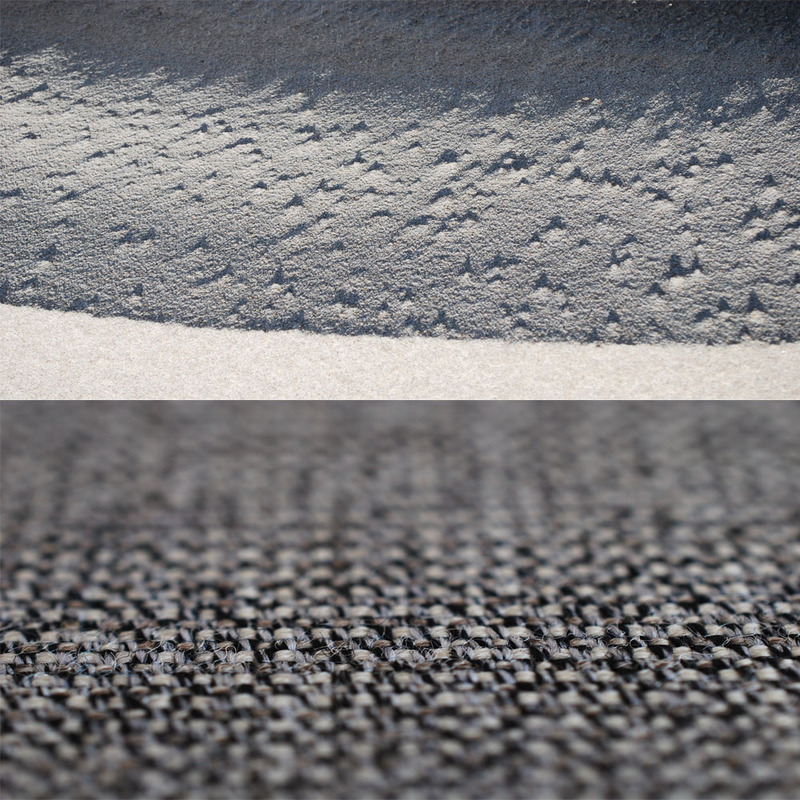 I shall demonstrate the power of the landscape with the help of the bute fabrics collection. 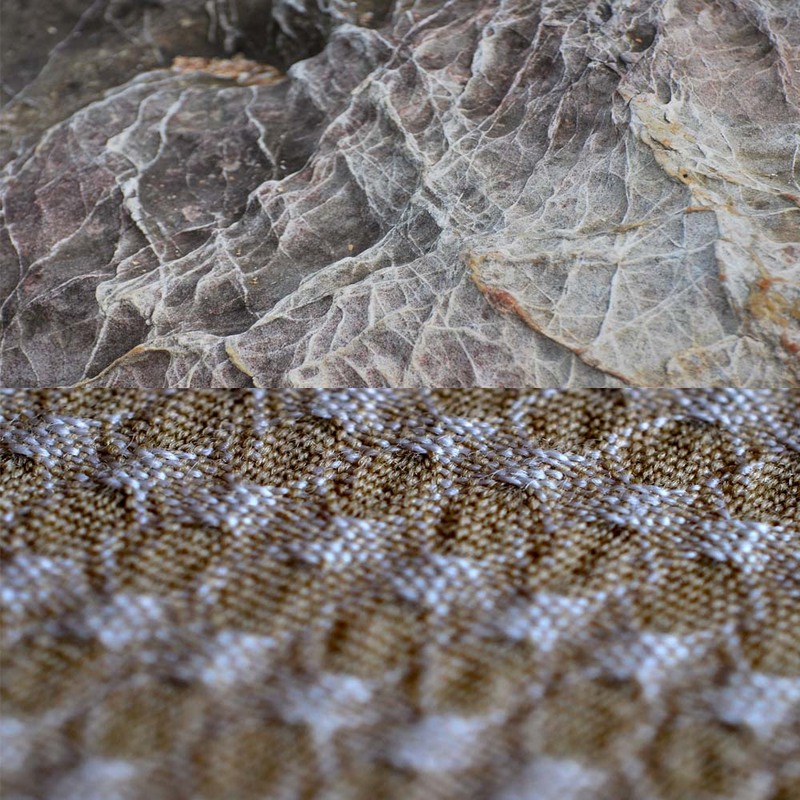 A quick flick through the binder and I come across several fabrics that appear to be a direct abstraction from nature. Intentional or subliminal, the designers are clearly demonstrating a raw and visceral connection to the environment. 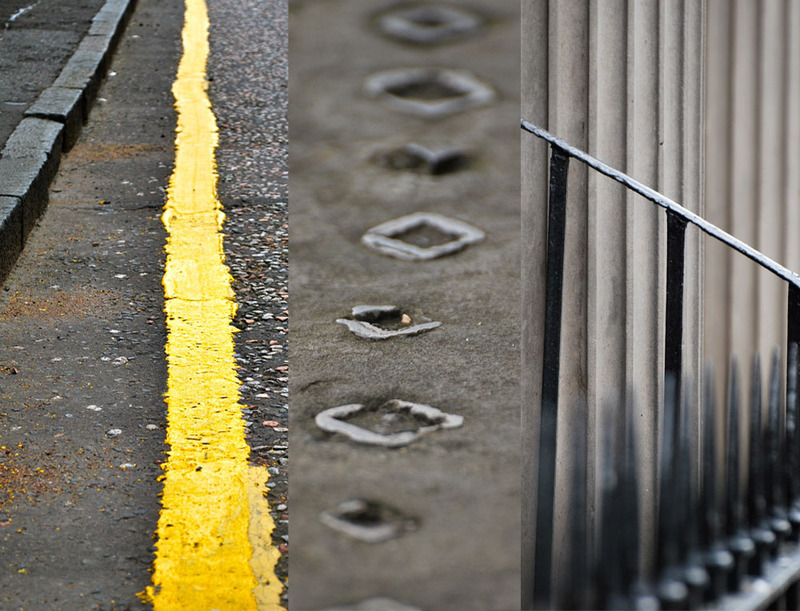 The fabric of our landscape is literally weaving itself into the very heart of designs emerging from Scotland. 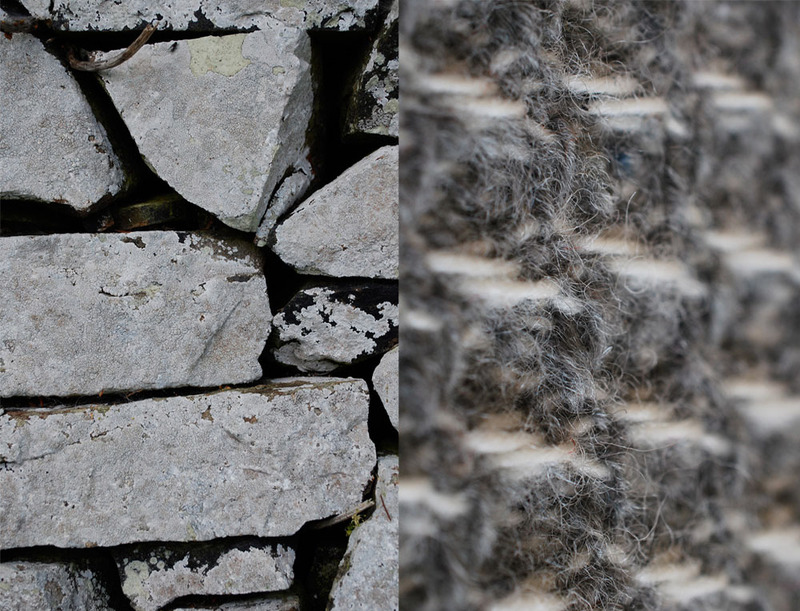 Natural materials but a man made wall – look how its structure emerges as an architectural weave. Busy docks have long been one of my richest sources of inspiration. 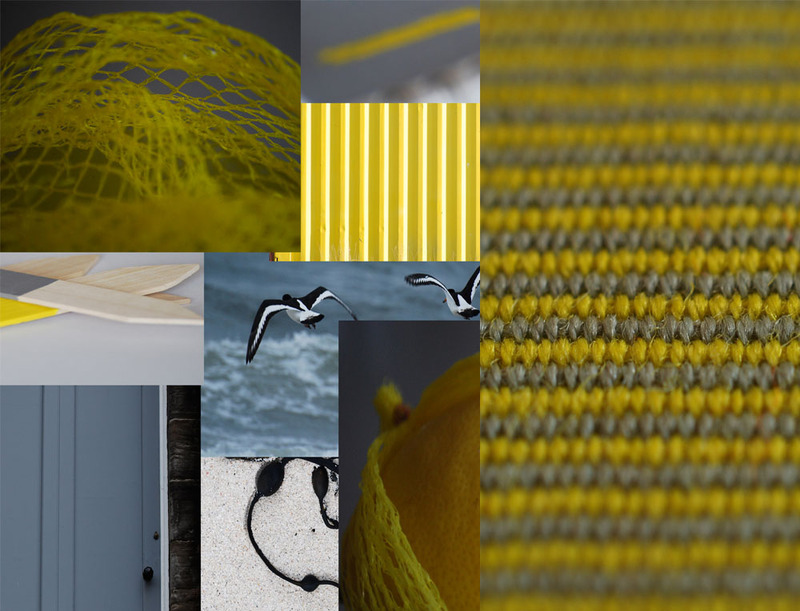 I can’t help but notice a similarity of colour and form in my dockland montage with that of bute’s special yarn effect cloth, ‘Skye’. 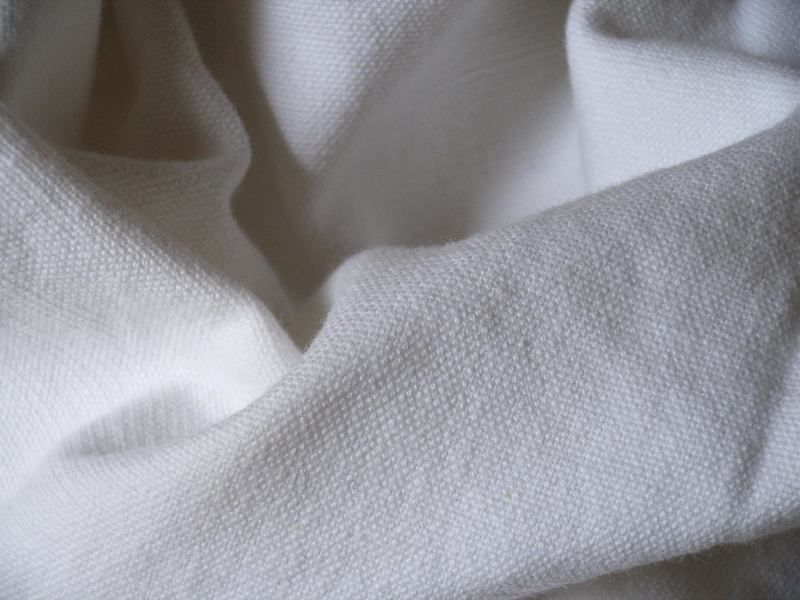 A clean, contemporary cloth that I am keen to specify. Blue panels of Hebridean water are reproduced in the interior of this room – the positioning of the ‘Turnberry’ throw on the sandy coloured felt wool chair looks pleasing because it is a direct translation of a natural landscape. In other words, it gains an instant authenticity. Look at the dark Lewisian Gneiss sharply contrasting with the adjacent white sand – a powerful combination. 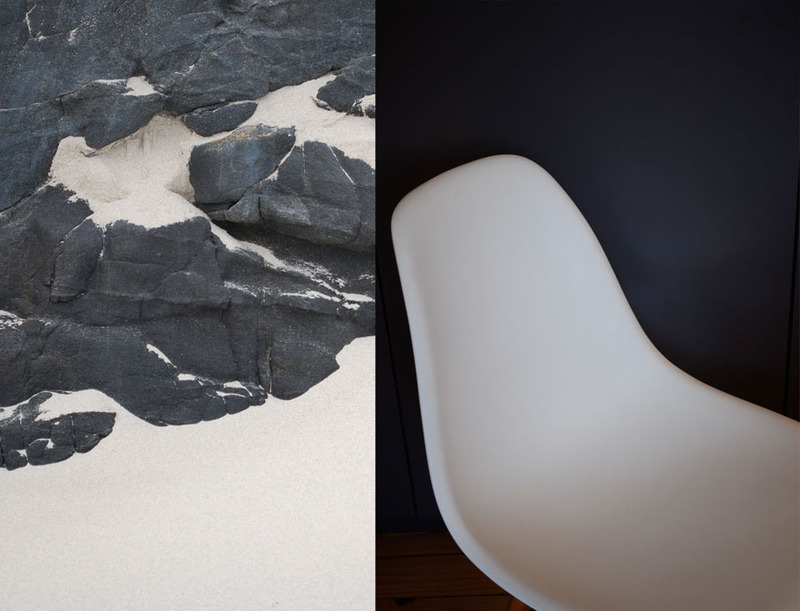 The organic form of the white DSR Eames Chair is heightened by the dark grey back drop. 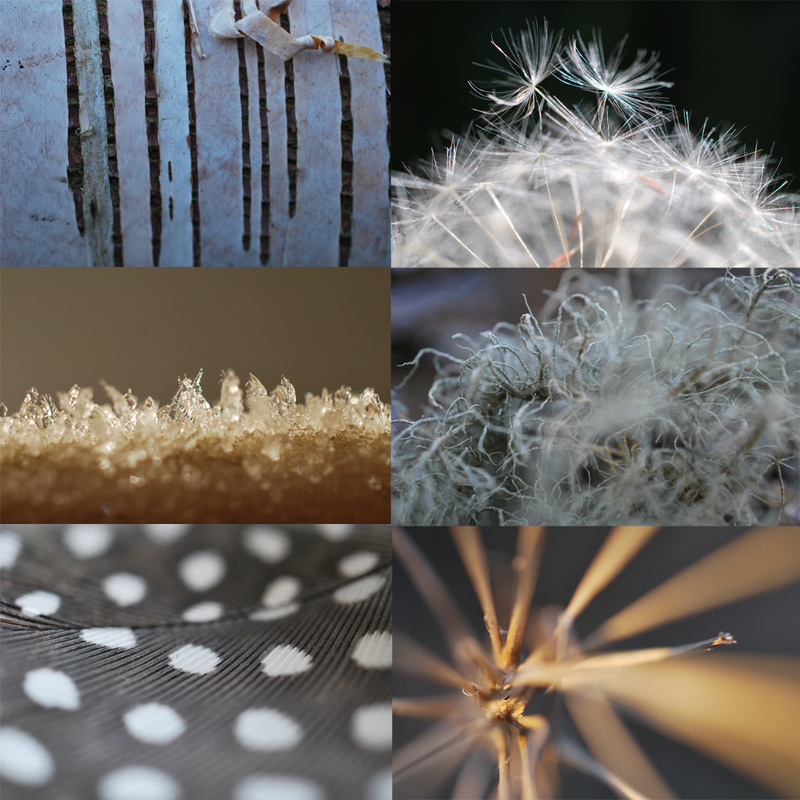 Our design instincts are influenced by the natural world yet again. A detail from an artist’s oil painting and a set of colours and shapes I see at the harbour. 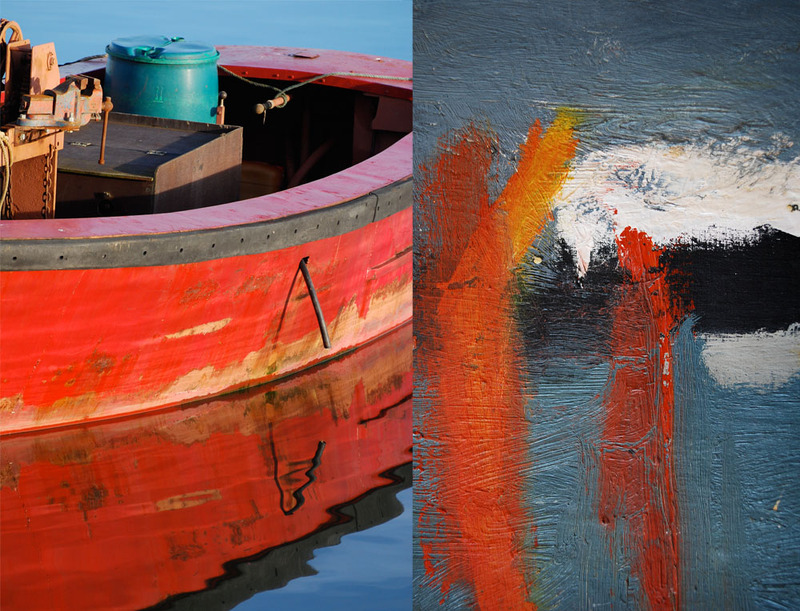 Colours from a harbour and detail from an unrelated oil painting. So no matter where we live, I am certain we are all deeply affected by the space around us. I am quite sure a primal force exists within us that connects us to the land and appears consciously and unconsciously time after time in the products we are designing. Nature is the touchstone for truthful design and is one of the many good reasons designers continue to live and work successfully in Scotland. And it’s not just the landscape that inspires us, don’t forget about the local flora and fauna. 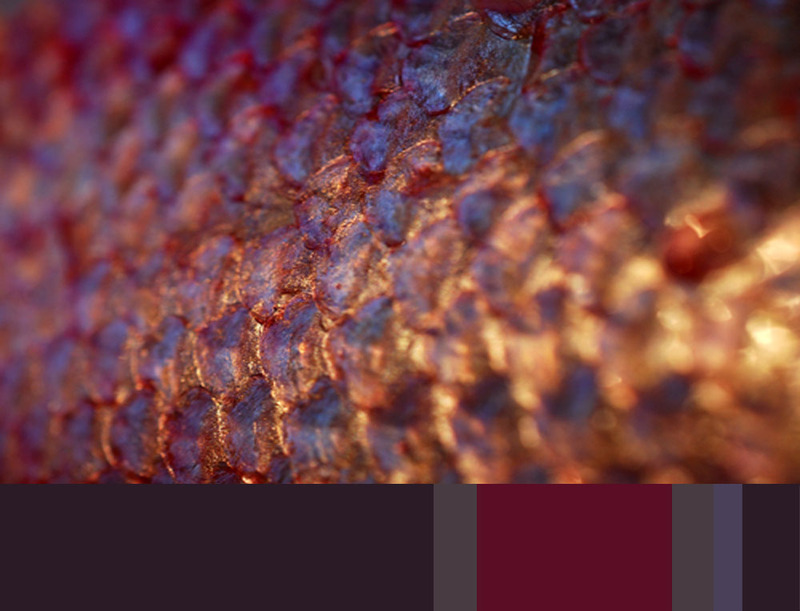 After curing this locally caught salmon in beetroot and vodka, I was spell bound by the colour palette that lay on my kitchen work top. 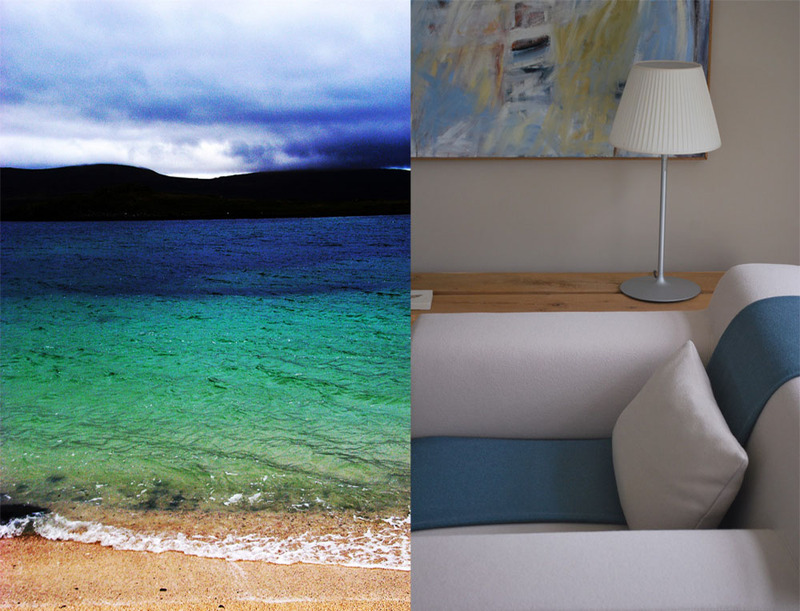 It’s always good to think about contrasts when you are designing a room. I have looked at textural contrasts in previous blogs and there are also many colour contrasts to think about such as light-dark contrast, chromatic-achromatic contrasts, complimentary contrast, cold-warm contrast, intensity contrast, quantity (area) contrast and more but it’s also important to think about contrasts between light and shadow. As Frank Mahnke points out in his book, Color Communication in Architectural Space, you should avoid having extreme light and dark contrasts in a room because while your eye adapts to the extreme conditions your visual capacity is actually reduced. It is also a process that tires the iris muscle which can result in eye strain and fatigue. However, too little contrast and you will compromise the definition of the space. If you have ever been skiing when the light is poor you will know it is very difficult to pick out the three dimensional form of the slope. In poor light it is all too easy to hit a mogul by surprise and it can even be tricky to determine whether a slope is inclining or declining. So just as harmonious colour palettes can provide a comfortable interior, try to create harmony with light and shadow – no contrast and you will create an uninspiring “flat” interior, too much contrast and you will find your eyes constantly adjusting and feeling tired. Mahnke refers to studies which show an increase in levels of productivity in rooms which have appropriate differences in light levels – definitely something to think about in your workroom. After following the lively discussion about creativity versus productivity on the broadside blog I bought Twyla Tharp’s book, “The Creative Habit“. I have to admit I am only a few chapters in but her views on how to maintain optimum levels of creativity are certainly very interesting if not a little extreme. In chapter two she advocates spending one week without multitasking in order to increase focus and creativity. 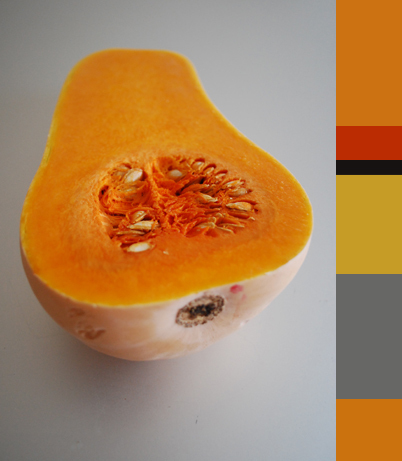 Well I may try it sometime but today I am working on kitchen textile designs and while I make lunch (butternut soup from a great blog, foodtoglow) I am pleased to be multitasking because the magnificent colour and form of the squash has inspired me so much I am using some of the colours in my current tea towel design. When I have a lot to think about I like to surround myself in greenery and here in Edinburgh we are immensely lucky to have the Royal Botanic Gardens on our doorstep. Today was one of those days so I spent some time in the glass houses looking at the magnificent plants. I can’t recommend this “therapy” more strongly – just look at the strength and form of these plants, they are inspiring in so many ways. Enter your email address to follow this colour and design blog and receive notifications of new posts by email. DCA Crafted & SWG3 HYPERMARKET This Weekend + a Hamper of Designer Goods To be Won! Local Heroes Design Boutique at G&V Hotel – and a Competition! It’s Breton stripe season - ‘Breton Signal’ silk tie is now back in stock! Getting distracted by the stormy sky this morning! Always having adventures, Mum camping in the 1950’s. Happy Mother’s Day! This is the last week of the Horizon Collaboration @ryanjamesstudio so pop along soon if you are hoping to catch it’s Glasgow leg. Lightening up for Spring, Lovewell silk tie inspired by the iconic Miami Beach Post Office building designed by Howard Lovewell Cheney in 1937. Delighted to see @franz_1955 looking fabulous wearing ‘Peat’ silk tie as he strolls around Florence. This tie (and the full Horizon Collection) is currently on display & available to purchase @ryanjamesstudio Glasgow. *Launch Night* Horizon Collaboration between myself + ceramicist Natalie J Wood 5 - 8pm at menswear & lifestyle shop @ryanjamesstudio Glasgow. Tonight’s launch kindly sponsored by @ardbeg . Drop in, browse the collection and warm up with a dram of whisky 🥃 Hope to see you there! I am especially delighted to tell you that the wonderful Japanese store, British Made Watanabe has selected the Horizon Collection to promote Scottish Design in their five stores across Tokyo. This special event will start on 15th March - if you are in Tokyo, I would love to hear if you see it. Ties off, it’s the weekend! All content is © 2011 – 2018 Niki Fulton and unifiedspace.wordpress.com. All rights reserved. Excerpts and links may be used, provided that full and clear credit is given to Niki Fulton and unifiedspace.wordpress.com. If you like my text and images and want to share them, please use a direct link to this site. Thanks you!